In this free Marvelous Designer 7 zipper video tutorial, you’ll learn all about the new zipper feature and how to create zippers on your Marvelous Designer garments. Discover how to correctly create zipper strips to avoid simulation issues, how to modify zipper strips and zipper pullers/sliders, change zipper colors/textures/size/width/thickness, change the direction of the zipper, flip the zipper’s location, open and close zippers (fasten/unfasten zipper), create fake zippers and concealed zippers, and solve common simulation issues to do with zipping up zippers. You’ll also learn how to create zippers in older versions of the Marvelous Designer software. We hope this Marvelous Designer zipper tutorial helps you creating Marvelous garments! Have any MD7 zipper questions? Ask us below! 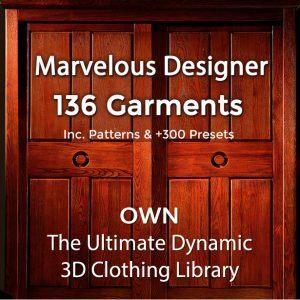 Do you want to master Marvelous Designer and quickly create all the clothes you want? Check out our Marvelous Designer beginner’s course and advanced workshops. 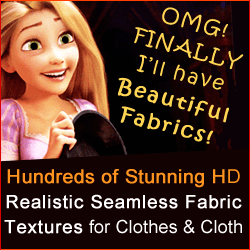 Please ask in the DAZ forum or their FB group/s about rigging for DAZ studio as we do not specialize in this tool. Have a nice day and thanks for visiting our website!